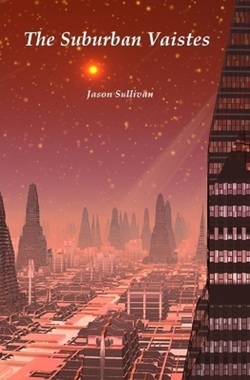 Jason Sullivan is a native of Massachusetts. 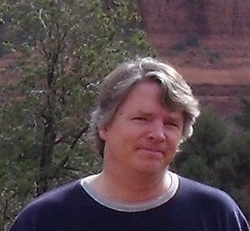 In graduate school he studied religion and philosophy from an epistemological point of view. He also lived for many years in Maryland in a circa 1850s farmhouse which he helped to renovate. He has written three books. The Dark Yergall and The Suburban Vaistes comprise (so far) The Adventures of Nosir Rag. 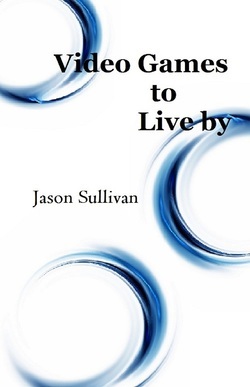 He also has a collection of short stories entitled Video Games to Live by. 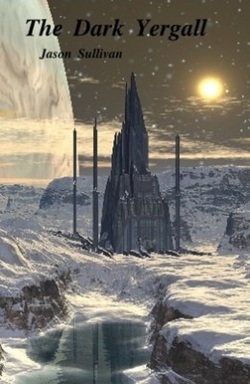 The Dark Yergall is a humorous trip through a future filled with galactic machinations. Aliens known as Yerggs conspire with the dystopian leaders of the Imkass Empire to destroy humanity. They desire to extract from the human genome the genes which allow humans to evolve thus ensuring that the Yerggs will rule until the end of the universe. Nosir Rag is a journalist who, with the help of an E.T. Rat Pack, discovers this nefarious plan. He then must overcome everything from sycophantic office assistants to tidal waves of love goo to keep hope alive in the Dark Yergall obsessed Imkass Empire. In Book Two of The Adventures of Nosir Rag, Nosir continues his humorous exploits by traveling to that most fabled and feared of wastelands, The Suburban Vaistes. While searching for his lost coworker, whom he believes might be decompiled and imprisoned within a can of beans, Nosir has a fast-o-food mishap which leaves him with a cheeseburger lodged under his lower left rib. After many adventures Nosir and his friends reunite to face off against an army of winnas in a nerve-racking battle outside of the Valhalla FriedDome. Don’t miss the apocalyptic excitement, served with a side of fries, in this fun, futuristic odyssey. This is book two in the series, but it is also a fine stand-alone read. Three short stories explore the video game as metaphor. The Naifs delves into the unsettling rituals of a sterile Virtual Reality world that veers dangerously away from its connection with nature. Don't You Believe Me follows a time traveler who journeys through time battling a mysterious and devastating adversary. He eventually lands in an arcade where a video game is being played for the survival of humanity. Lastly, Hysterica is a story of rapacious consumerism and the dizzying sense of value it bestows upon us. These stories will have you thinking about video games—and life—in ways you never have before. This book is not a guide to actual video games.